An SSL certificate is required when configuring RESTful API settings or enabling user authentication with organization credentials for tenants. 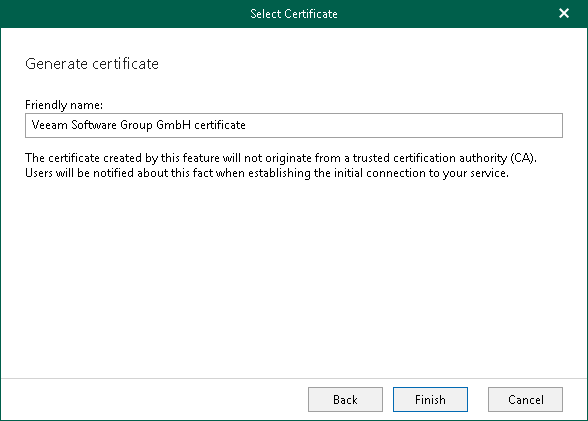 To generate a new certificate, provide a certificate name and click Finish. 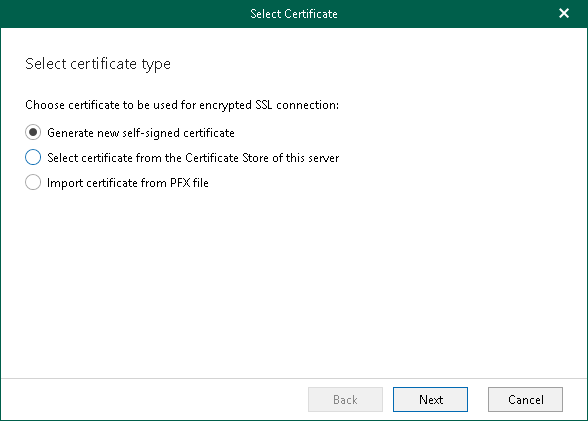 Once generated, the certificate data will be automatically added to the Installed certificate section of the Options dialog. To select an existing certificate from the certificate store, choose a certificate you want to use and click Finish. 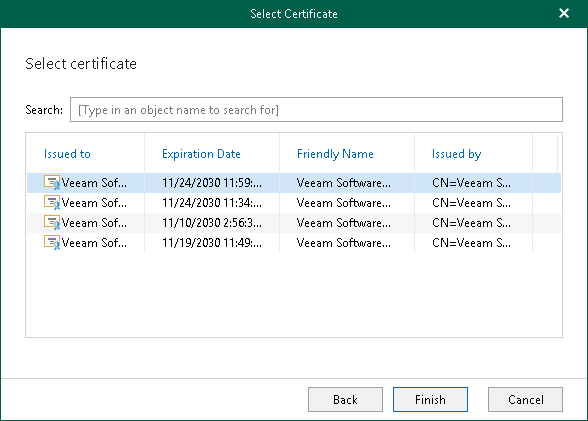 Once selected, the certificate data will be automatically added to the Installed certificate section of the Options dialog. 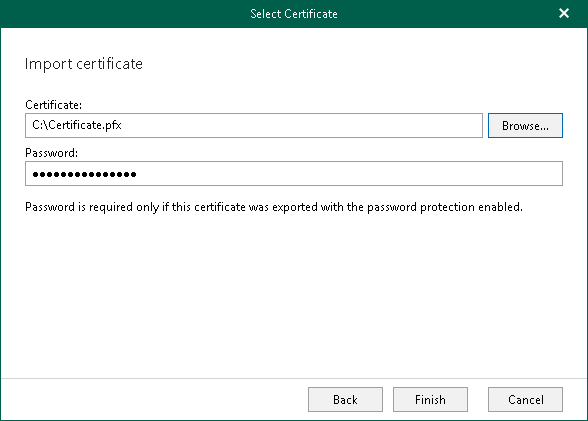 To import a certificate, click Browse and select a certificate to use.